Hey, there. It’s Caleb at Homeschool-curriculum.org. Today we’re going to address, probably the number two reason people visit our site and three things you can do about that, or three actions you can take right now to address that reason. First let me introduce myself. I’m Caleb. I’m a father of three who got frustrated enough in our youngest son’s education that I decided to finally do something about it. 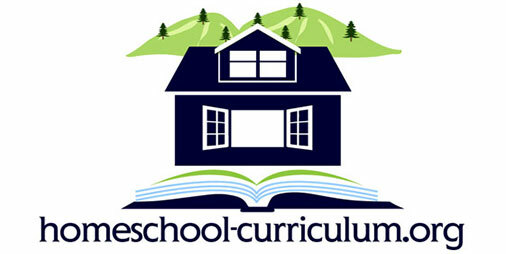 At Homeschool-curriculum.org, our mission is to transform the way we educate our children by helping parents have the confidence they need, to deliver a high quality, highly individualized education that helps you to develop or nurture the creativity, the originality, and the independence that we all cherish so much in our kids. Now, what’s the number two reason people visit our site? Typically – don’t know if this is your situation – what happens to me sometimes, is that we have a lack of motivation. Do you ever have those days where you say, I just don’t want to do it. I just don’t want to do the workout. I don’t want to cook. I don’t want to work. Just whatever it is, we know those days where we’re not really feeling motivated. 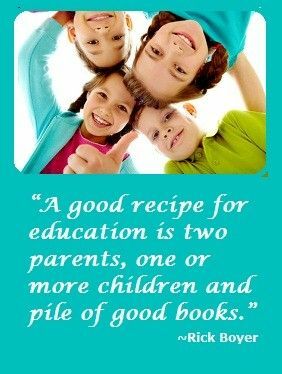 You may have them in your homeschool life, too. I don’t know what to do today. Another day of sitting down with these things. They want something from me. I really don’t feel like doing it. The power struggles, you know what your issue is about why you aren’t feeling motivated. You or your situation. Maybe you don’t know your issue. I’m going to share three steps or three actions you could take to help get around your lack of motivation. The first step you can take is reconnect with why you’re doing this. That might mean you need to get some quiet time. It might mean – I hate to say it – throw a tablet at the kids, or say I’m going for a walk, or ask your spouse or somebody else just to spend some time, but reconnect. What was that vision you had when you said, you know what? I’m going to homeschool my child. Then you said, the values are really important to me. Maybe you said, I can do a better job than I see elsewhere or maybe you have special needs reasons, something that’s really important to you. Reconnect with your internal mission. The reason you choose to do this. Taking some of that time will help you to hopefully renurture or redevelop that hunger that you had when you started out. Being clear on that and reconnecting with your goals is always a way to get started. What’s the second thing that you could do? I’m going to take a look at my notes really quick here because I made this out. I know the second step was take small steps on what you’re doing to get your motivation going again. That might mean that just today, I don’t have the motivation, but what’s one thing I could do to rekindle this? We all know with exercise and when you’ve fallen out of exercise for a while and you say, I’m going to start running again or I’m going to start swimming or cycling. You can’t go off and do a marathon immediately or initially, but you can start with a walk. The same thing with homeschooling. You don’t have to go and say, oh I just need to do everything. There’s just so much going on. Do just one thing. The fact of the matter is, if you just improve by 1% per day, you know you’d be at 100 days, you’d be twice as good as you are now. Do that another 1% a day improvement and just continue to refine, and refine, and refine. Part of it is yes, I just have to get up, get off the couch. Whatever it is. Remove the distractions and then you’ve got to go out and you’re going to have to say I’m just going to do one thing and tomorrow I’m going to do that one thing plus something else maybe a little bit better, or that one thing will be just a little bit better. That helps to get your motivation back and your enthusiasm for what you’re doing. Now what’s the third thing that you could do to overcome your lack of motivation? I think this is probably the best part of the video and the best advice. That is to share your lack of motivation with your child or children. Just share what’s going on. What you’re going to do there though is you’re going to get their agreement to help. Right? This accountability. You’re developing an accountability partner in your children to work with you. Why is it the best part and the best advice? Because that’s what they need as a life skill. Isn’t it? They need to know how to recognize when they’re having a hard time, they’re challenged with a task, they aren’t able to make it through, or they’re just struggling to make it through and being able to raise their hand, ask for help, or turn to someone and say, you know what? I’m not at my best right now, but can you work with me on that? For you to model that behavior with your children as you do that. Say, you know what? I really want to get this done. It’s a challenge for me right now, but can we do this together? What I need to hear from you is, hey, we said we’re going to do this today. Can we just do that one thing? What I’ll respond in kind, is that’s a cue to you to say, oh yeah that’s right, I said I was going to do that one thing. That helps you to reconnect with the reason you’re doing things. It allows you to take that one small step to work towards your goal or to improve what you’re doing, and you do it with enlisting the help of the people you love and you’re dealing this for. Now, speaking of people you’re love and who you’re doing it for, there’s going to be someone after you that comes to this site. We get thousands of visitors a month on this site. That’s going to come with maybe the same challenge of saying, I don’t have motivation either. Could you share what your number one issue around your lack of motivation is, in the comments below this video? What you’re doing is, you’re going to help somebody else that comes along and says, oh yeah, I’ve had the same problem. There may not be a solution. If you want to share a solution, that’s great too, but there’s a kindred spirit out there somewhere and it’s just helping them to feel a little bit more comfortable with their situation too. Thanks a lot. I hope you’ve got some good advice out of that. Now, go take action. Get out of that lack of motivation and get you moving again.